You don't need to pay a fashion advisor when you have Contempo on your side. 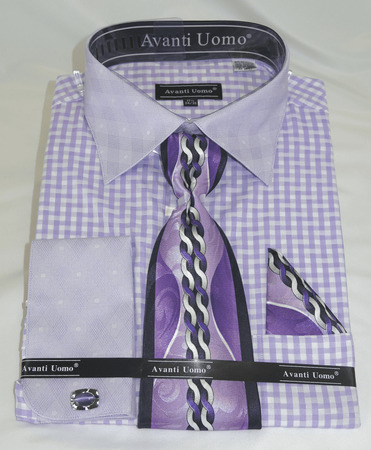 Check out these stylish dress shirt and tie sets from Avanti Uomo. Featuring Italian style and design, these shirt and tie combos are for the man who isn't afraid of a little style and color. This lilac color shirt features a zig zag like pattern fabric with solid color french cuffs and collar that have a shadow pattern.